This unique flag design is a combination of two family crests and a Maryland crab. 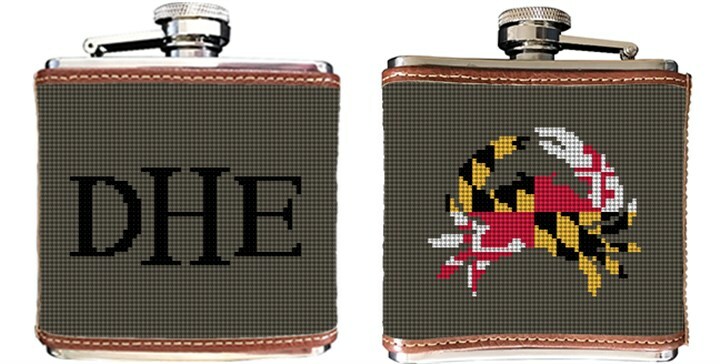 We thought it would look fabulous on our Maryland Crab Flag needlepoint flask. One of only four US flags that doesn't contain blue, making for a fascinating design and bold graphic, especially when combined with a Maryland crab.